Before you're planning your trip, please have a designated driver. Many wineries will have refreshments just for designated drivers. We have 8 wineries along the Upper Cumberland Wine Trail. 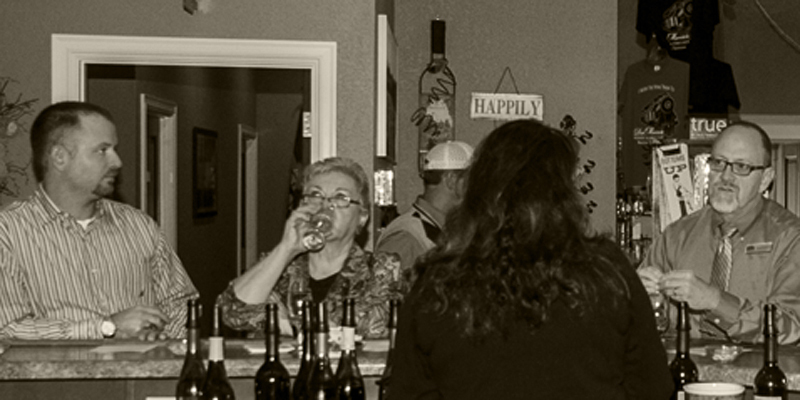 See our links to the wineries and their individual hours of business. Don't forget some of our wineries in outlying areas. Before you go on the wine tour be sure to drink lots of water during the day to prevent dehydration. You do not have to drink each entire taste of wine. If you're tasting 5 or 6 wines at 4 or 8 wineries for the day it will all add up. Take a couple of sips and pour the rest out into the spittoon. Typically, wineries serve one-ounce pours. As a reference point, there are four to six ounces of wine in a typical glass. Please be patient, the staff will do their best to serve you as they can. Please be respectful of your confirmed appointment times. Bring the proper identification. Winery staff will check if you are of age! You must be at least 21 years of age to participate in Wine Trail events. As you take a sip of wine, notice how it feels and tastes in your mouth at first and then swish it around on your tongue before swallowing. Your opinion of the taste may change, so do not rush to swallow. Always take another taste; the first might be affected by your previous wine or food.